Trials in Bosnia of several major defendants are being postponed almost indefinitely because one or other defendant is ill – raising questions about why the cases are not being separated. A year will have passed in May since the trial of the Mayor of Vlasenica, Mico Kraljevic, was supposed to have begun. The Bosnian Serb is charged with participating in the persecution of the Bosniak community in the eastern Bosnian town in 1992 and 1993. His alleged crimes are grave; they include unlawful detention in inhumane conditions, murder, torture, sexual abuse and forcible disappearances. Kraljevic commanded a special squad of the Public Safety Station in Vlasenica during the 1992-5 war in Bosnia and Herzegovina. He has been charged alongside former station chief Mane Djuric, former police commander Radenko Stanic and former police officer Goran Garic. But their trial remains on hold due to Djuric’s sickness. “This is yet another blow to victims … Djuric and Kraljevic were rulers of life and death in Vlasenica. I saw it with my own eyes, I watched them kill my brother, Edin,” he said. “This is the last chance to do something for Vlasenica’s victims. Rapid proceedings are needed,” he said. “Acting on orders issued by Djuric and Kraljevic, [Bosnian Serb] soldiers and policemen would come to our houses, intimidate and kill people. By dragging out the proceedings, the court is accommodating our murderers,” Salaharevic recalled. The Court of Bosnia and Herzegovina has not responded to queries about whether it will separate the proceedings against Djuric so that the trial of Kraljevic and the other defendants can at least start. Djuric’s lawyer, Milos Peric, says separating the cases would not be cost-efficient. “It is up to the court to assess whether a case should be separated or not,” he said. “But in cases where we have several defendants, it is not cost-efficient to separate cases because the same witnesses and evidence are then presented twice,” Peric added. The vice-president of Bosnia’s High Judicial and Prosecutorial Council, HJPC, Ruzica Jukic, disagrees. She says account must be taken also of the need to process war crimes on time. “I don’t know what the reason is for not holding a hearing for months. There is no need for the case and other defendants to suffer,” she said. “If someone is sick, it cannot last forever. If there are objective reasons related to sickness, cost-efficiency is achieved by separating the cases,” she added. “In that case, at least someone is sentenced, instead of cases going on endlessly. In some cases, the defendants are old, like the witnesses. If the cases continue for long, the question is whether they will live to see the end of the proceedings,” Jukic concluded. 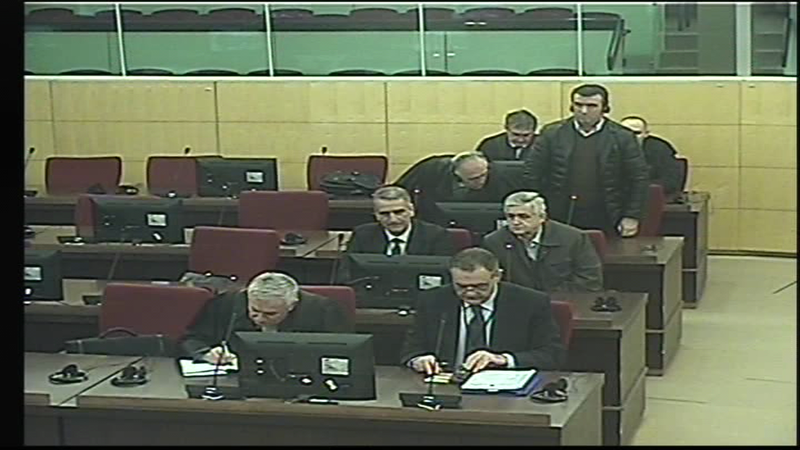 The start of the trial of Atif Dudakovic has been similarly postponed. He and 16 other former members of the Bosnian Army’s Fifth Corps are charged with crimes against humanity in the municipalities of Bosanski Petrovac, Kljuc, Bosanska Krupa and Sanski Most, and for war crimes against civilians in the municipalities of Bihac and Cazin. A status conference was held in early February but the start of the trial has been on hold for two months because one defendant, Ale Hodzic, is sick. Hodzic’s lawyer, Izet Bazdarevic, told BIRN that a decision was made last week to separate his case because he really was sick. But Bazdarevic admitted that some defendants misuse sickness to drag things out. “Procedural actions are sometimes misused, which leads to the postponement of hearings. I was a judge; I know what tricks defendants use,” he said. “There must be serious documentation of good quality, explaining why someone is considered sick and who assessed his condition,” he said. “Hodzic underwent an expert examination and the Court sent us a decision, informing us that his case had been separated from the original case in which he was accused alongside Atif Dudakovic and others,” Bazdarevic said. Dudakovic’s lawyer, Asim Crnalic, said separating cases is a good or bad decision depending on the circumstances. “In some cases, it is inappropriate to separate cases because a suspect is associated with other defendants, so you have difficulties related to proving the evidence,” he noted. “But if you do not separate some cases, the proceedings may not be brought to a conclusion. So, judges hope until the very end that those who are sick will become capable [of testifying],” Crnalic said. Former judge Vlado Adamovic, now a lawyer, agrees. The court must evaluate the circumstances and ability of defendants to follow a trial and then decide whether it is appropriate to postpone it, or wait for medical treatment to end, he said. “If a trial has lasted for years and someone has to undergo surgery followed by a six-month recovery, the question is whether the proceeding should be repeated and evidence presented again. It requires a case-by-case assessment,” Adamovic added. No new witnesses have been examined since September last year in the trial of the 76-year-old former wartime head of the Crisis Committee of Doboj and post-war member of the Bosnian presidency, Borislav Paravac. He is on trial with Andrija Bjelosevic, Milan Savic and Milan Ninkovic for crimes in Doboj. Paravac headed the town’s Crisis Committee at the time while Bjelosevic was chief of the Security Service and Savic was his deputy. Ninkovic, whose sickness has postponed the trial, was a member of the Crisis Committee. Ninkovic’s lawyer, Branko Ristic, said he thought the Court acted fairly in postponing the trial. “They are obliged to take account of the defendants’ health. Nobody can influence the passage of time. There is a problem of the old age of defendants in some cases, but chambers are as efficient as they can be,” Ristic said. No hearings have been held for five months either in the case against Savo Tepic, Dusko Maksimovic, Dusko Vujicic, Ilija Kurusic and Radojko Keverovic. This is due to the sickness of one of the defendants. They are charged with participating in detention, torture and other inhumane acts against Bosniaks and Croats in the municipality of Kotor Varos. According to the charges, Tepic headed the Public Safety Station in Kotor Varos while Vujicic, Maksimovic and Keverovic were policemen. Kurusic was a member of the Bosnian Serb army. The Court of Bosnia and Herzegovina has not responded to questions about the possibility of separating those cases. War crime trials against several defendants before the state court in Bosnia have lasted more than two years on average, but some trials have gone on for over five years.